This past Sunday I had the opportunity to worship in a colleagues church and they shared a wonderfully simple prayer model during the children’s sermon. 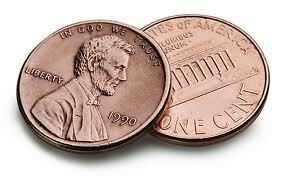 They suggested that when you weren’t certain what to pray, pray the sides of a penny. On one side there is a person, Abraham Lincoln. This reminds us to pray for people. I think most of us don’t have any problem remembering to pray for people we readily lift people up that we are concerned about. Or, we give thanks to God for people who are a blessing to us. On the other side is a place, the Lincoln Memorial. She suggested that we should pray for the places in our life. For example, we should pray for our churches, schools, homes, and places of work. What are other places for which you should be praying? How about charitable organizations or government offices? There is still one more side and this is the one grabs my attention the most. The penny has an edge. Pray about the things that put you on edge. What are you challenged by, stressed about, or worry over? What are your edges? Just reflecting upon our edges is a good thing. Without conscious awareness of our edges, they will drive our mindset and guide are actions. Edges are the places where we make poignant choices–the choice between moving forward or remaining stuck, yielding to fear or acting in faith, worrying or trusting. So, at the very least, awareness will awaken and empower us to make better decision. Coupling that awareness with the power of prayer is even better. When we pray about our edges we invite the Holy Spirit into our point of weakness. Our point of weakness can become a place where God’s strength and miracles can pour through. Our points of weakness are the places where a trial or tragedy have the potential to become a testimony. When in doubt what to pray. Pray your pennies. Pray for people, places and most of all don’t forget to pray for your edges. That’s my two cents worth (well at least one cent) of wisdom on prayer for today. p.s. Thank you to Rev. Leslie Bethell Roper of First Presbyterian Church in Batesville, Arkansas, for a great children’s sermon that teaches us an easy pray model to help us pray better. 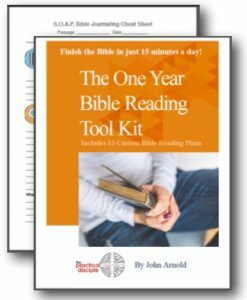 Want a better prayer life now? Then check out my new book, “Tips On Prayer, The Quickstart Guide to a Better Prayer Life.” I am giving away some awesome bonuses with the book right now. Check it out.